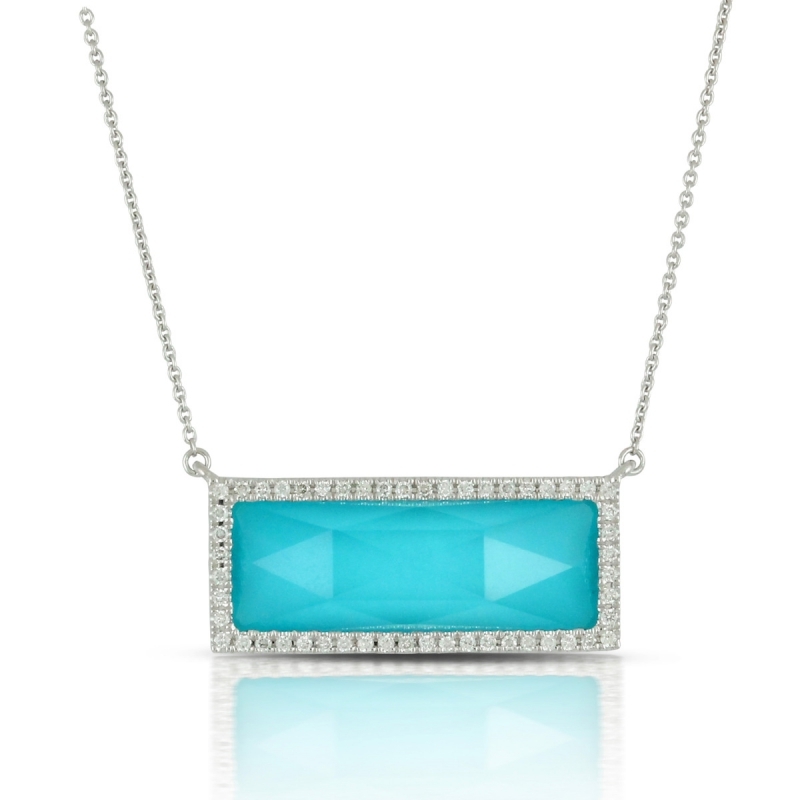 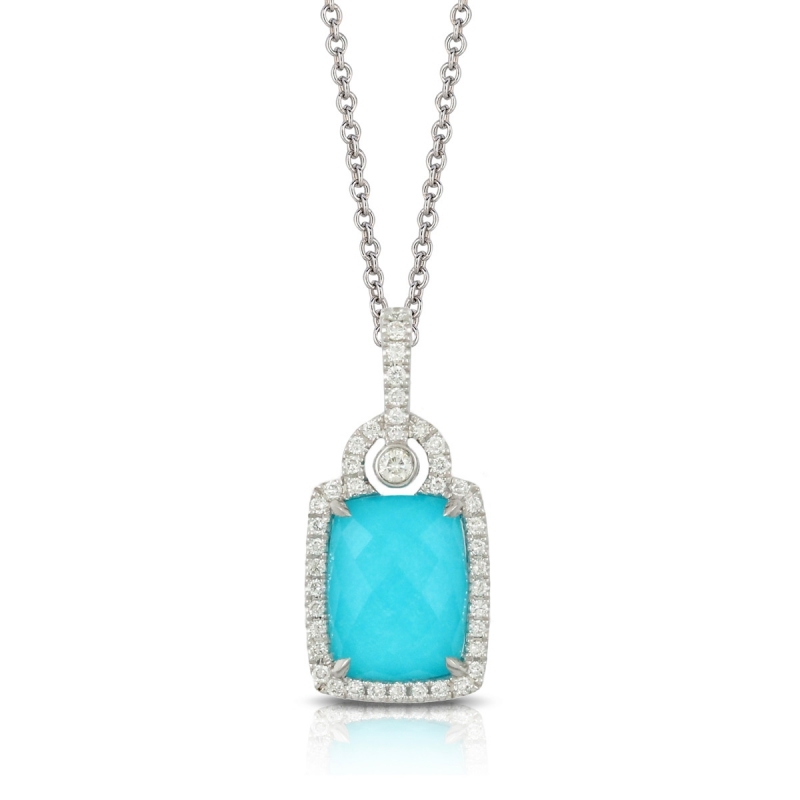 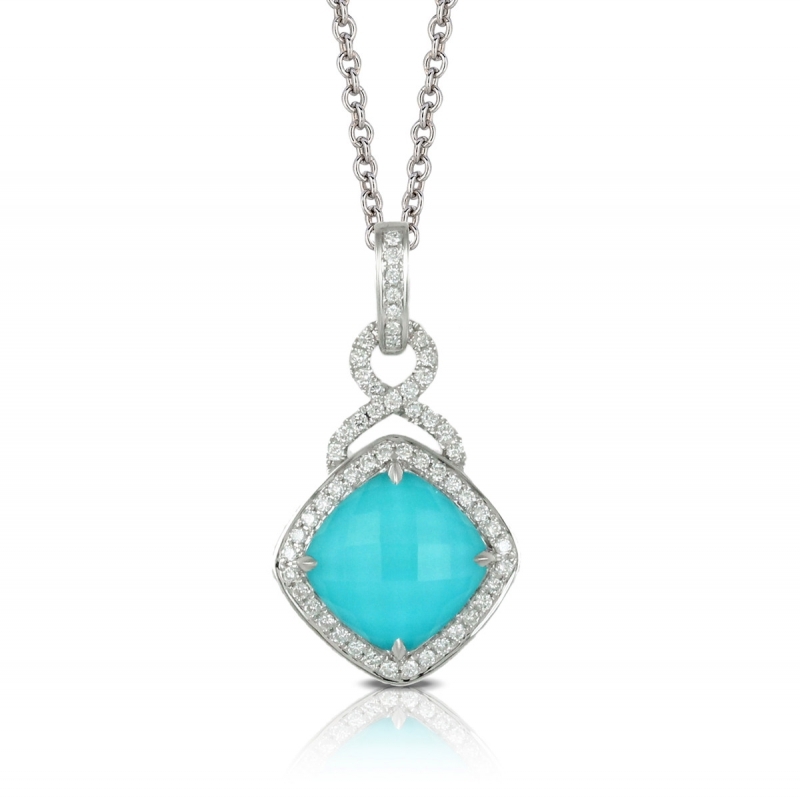 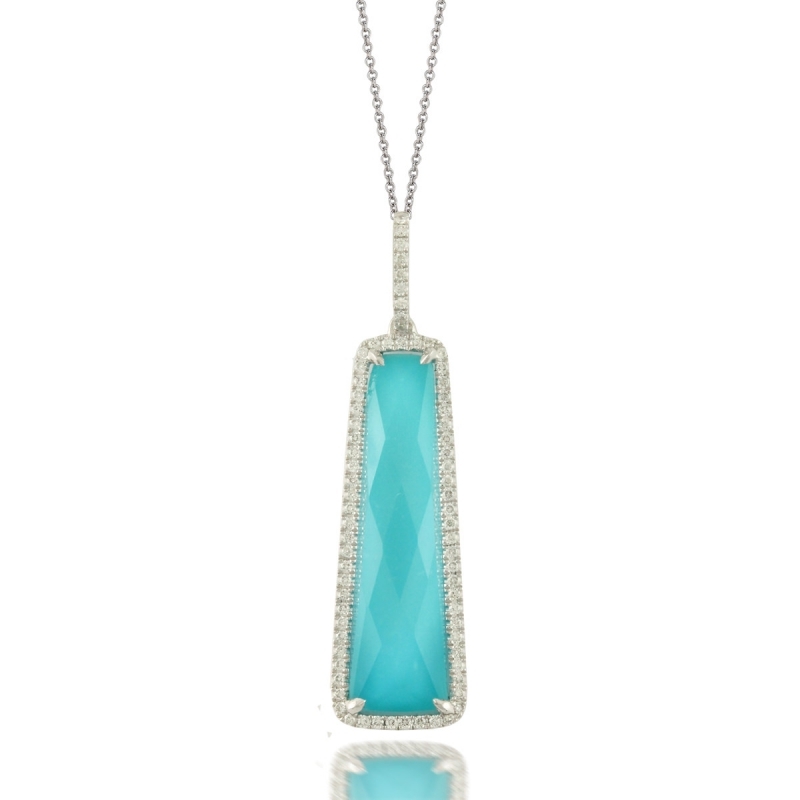 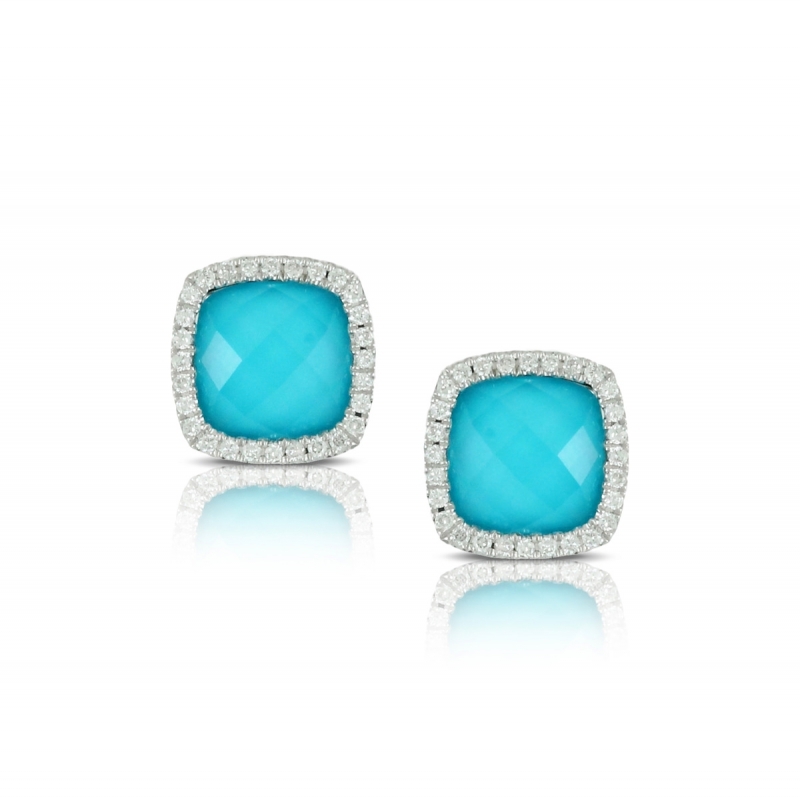 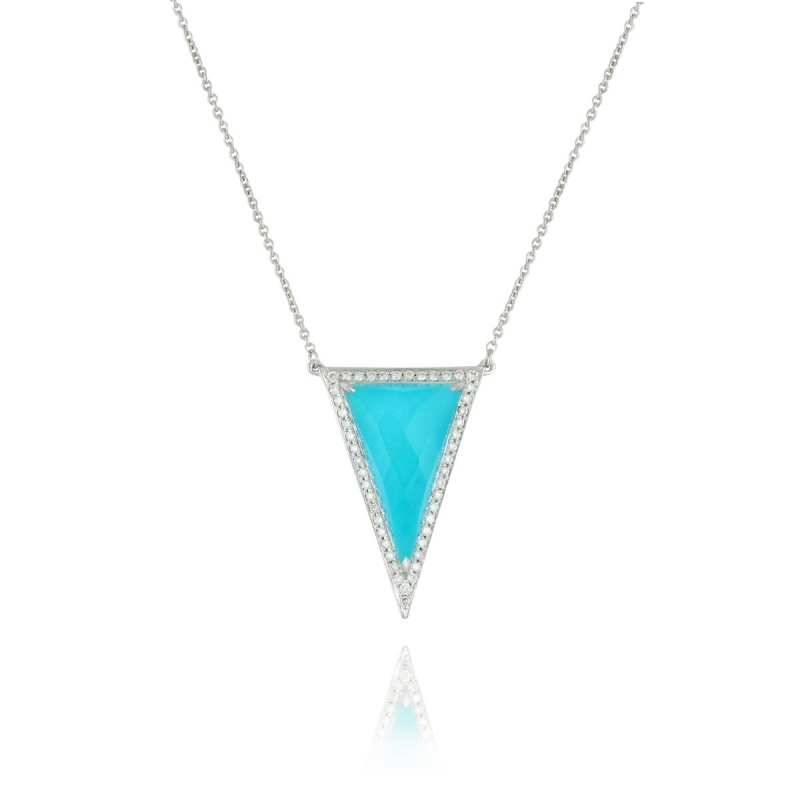 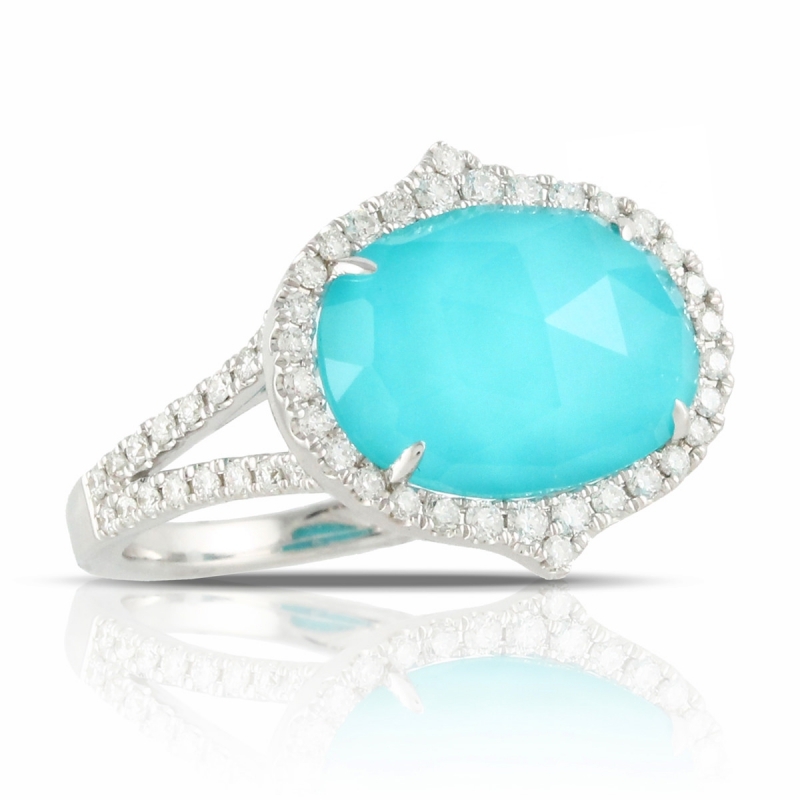 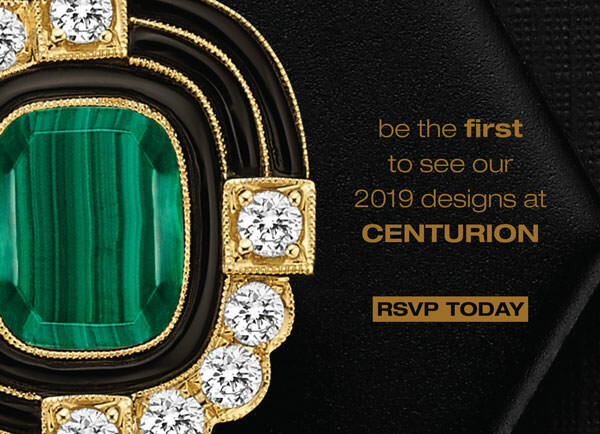 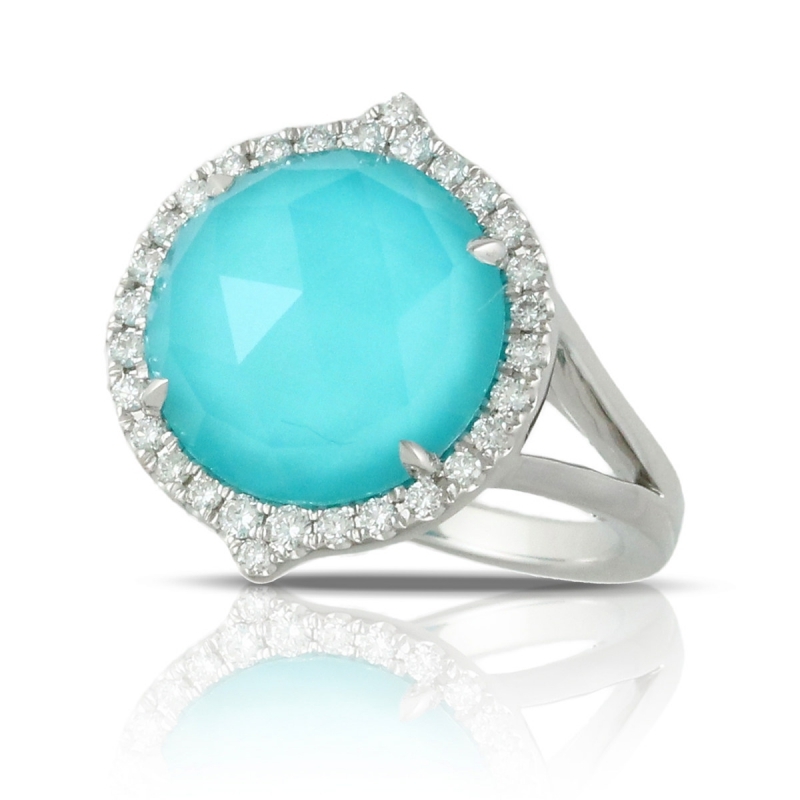 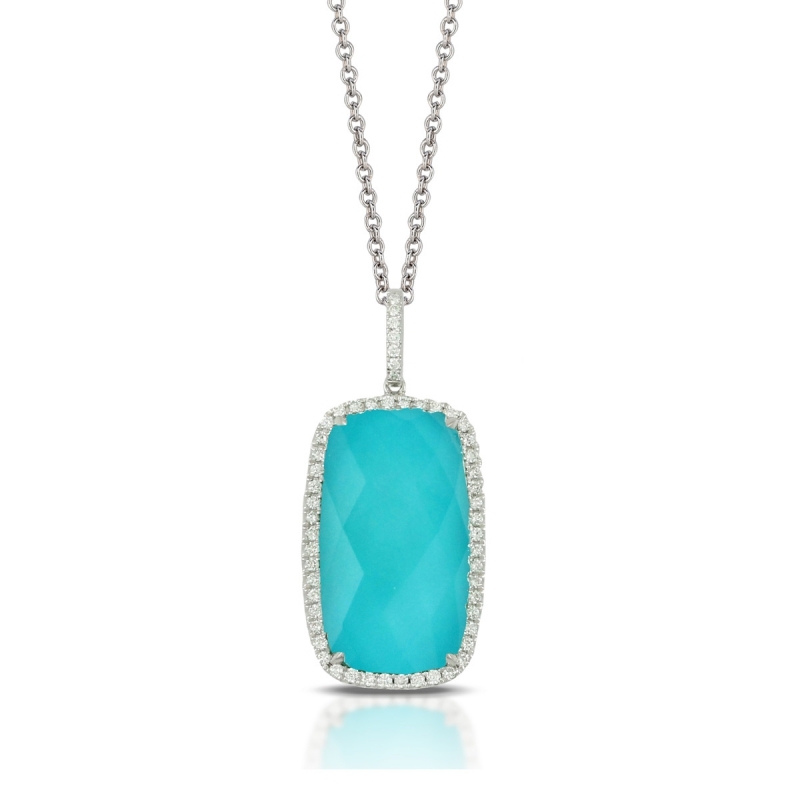 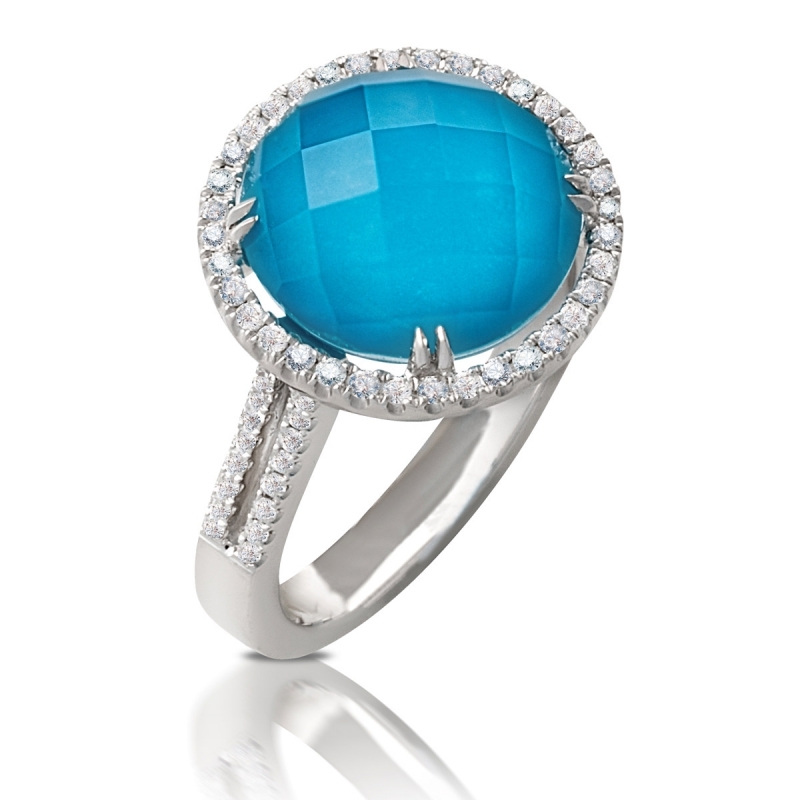 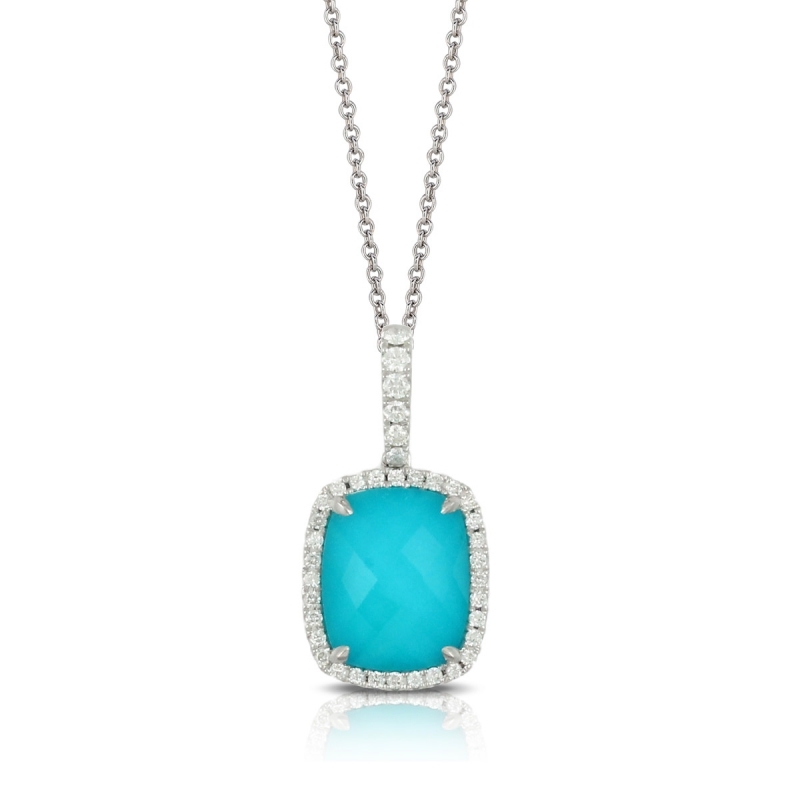 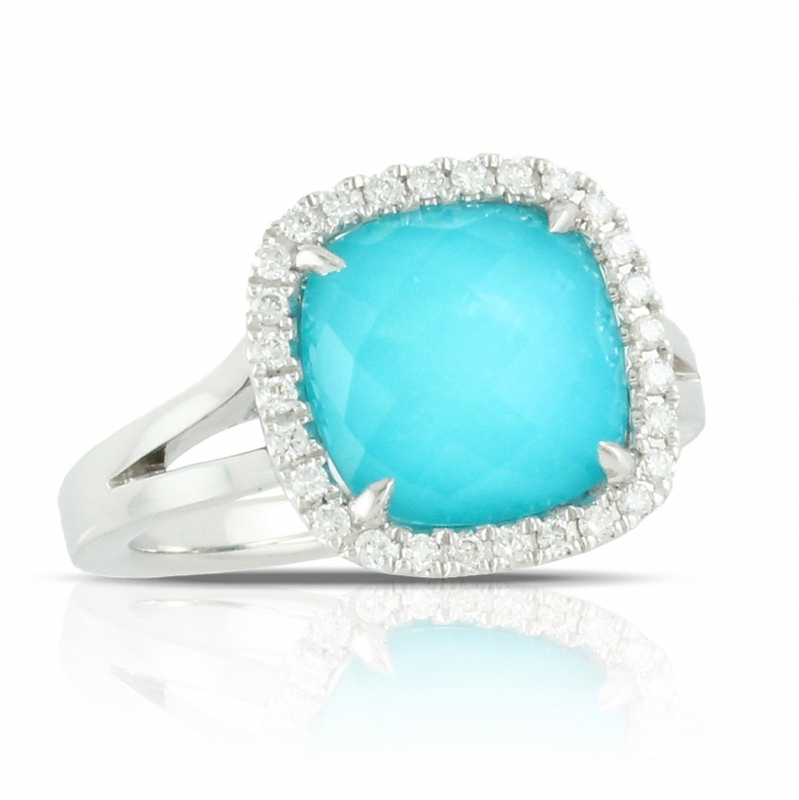 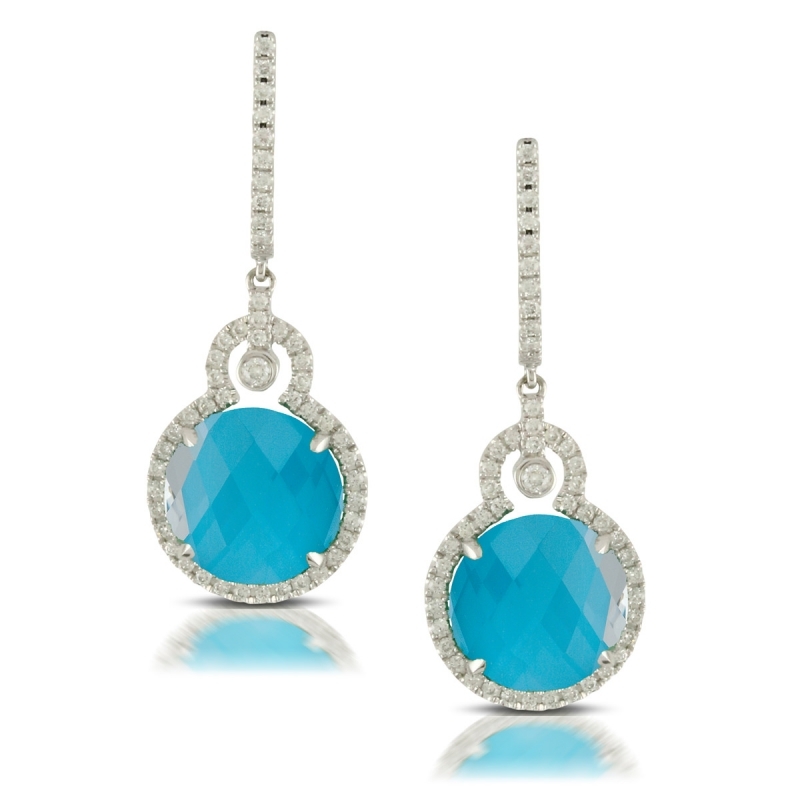 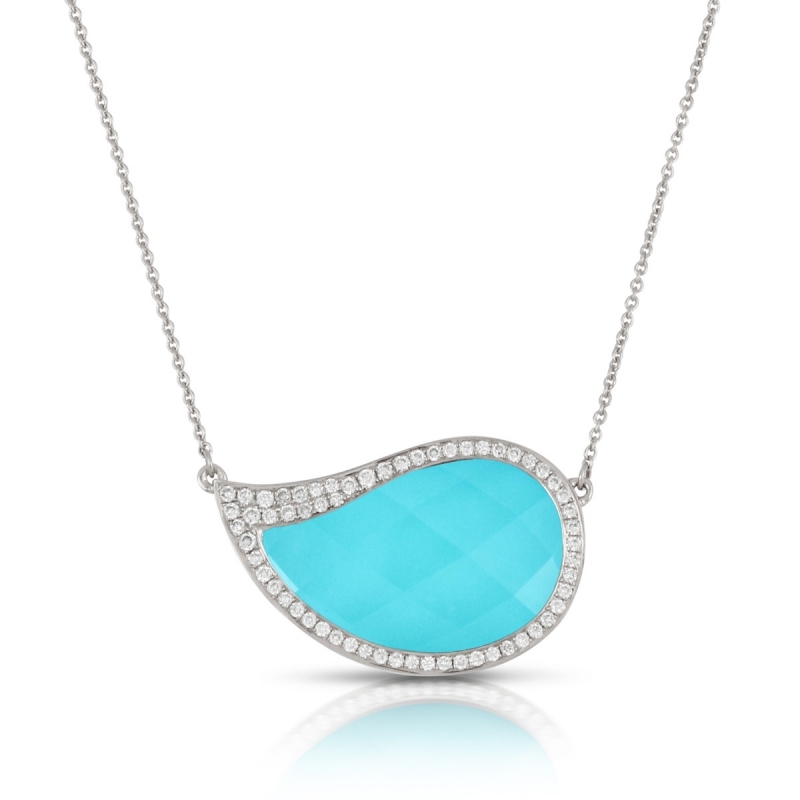 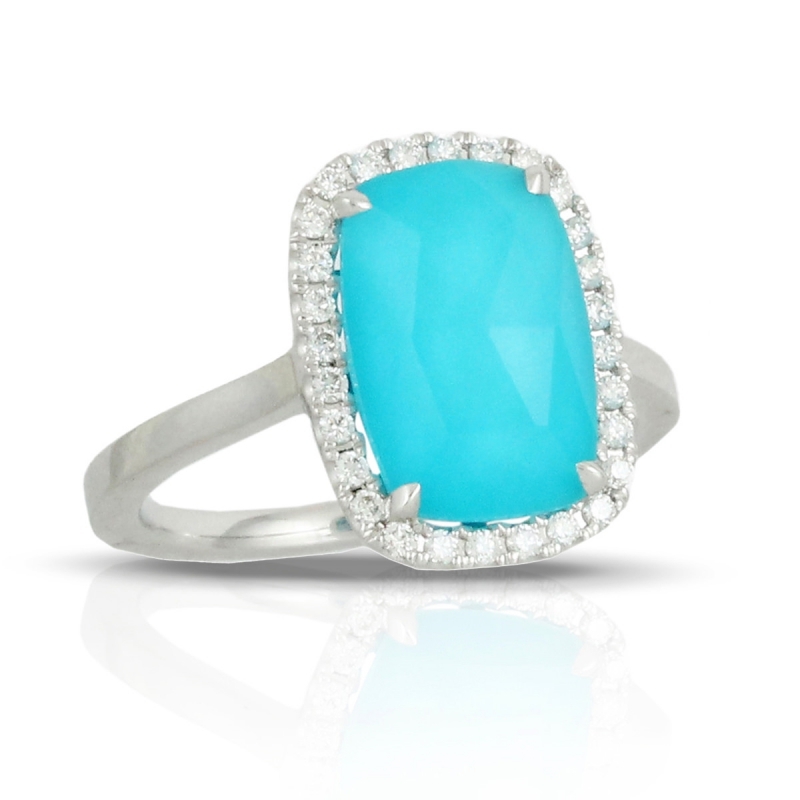 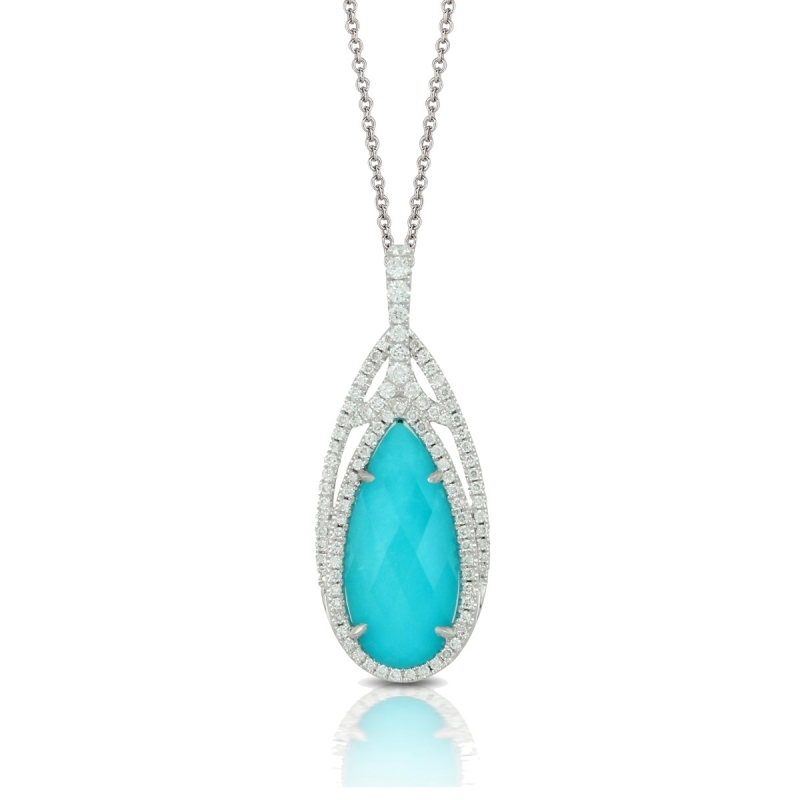 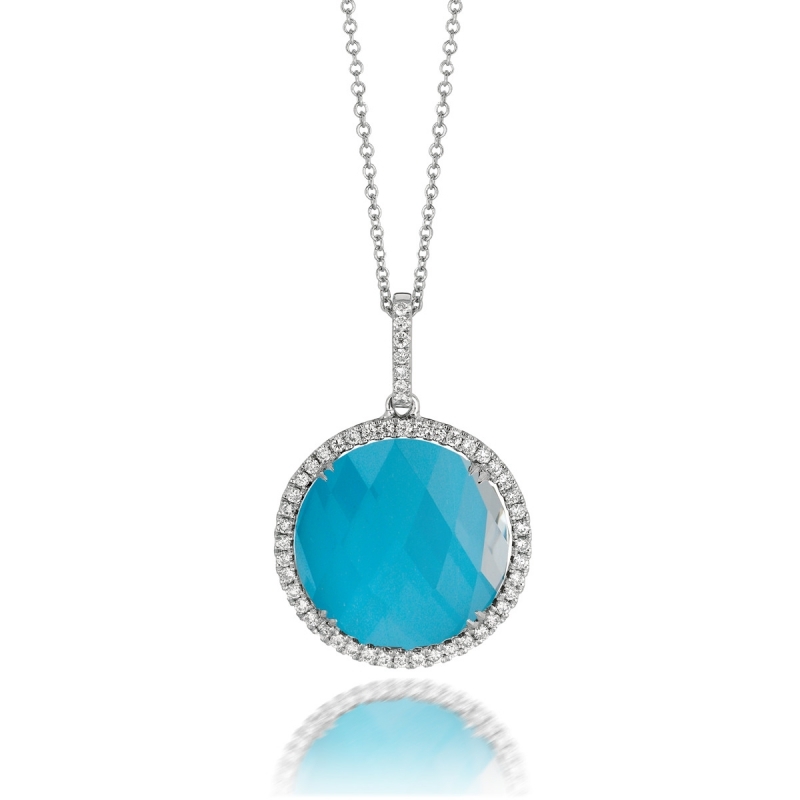 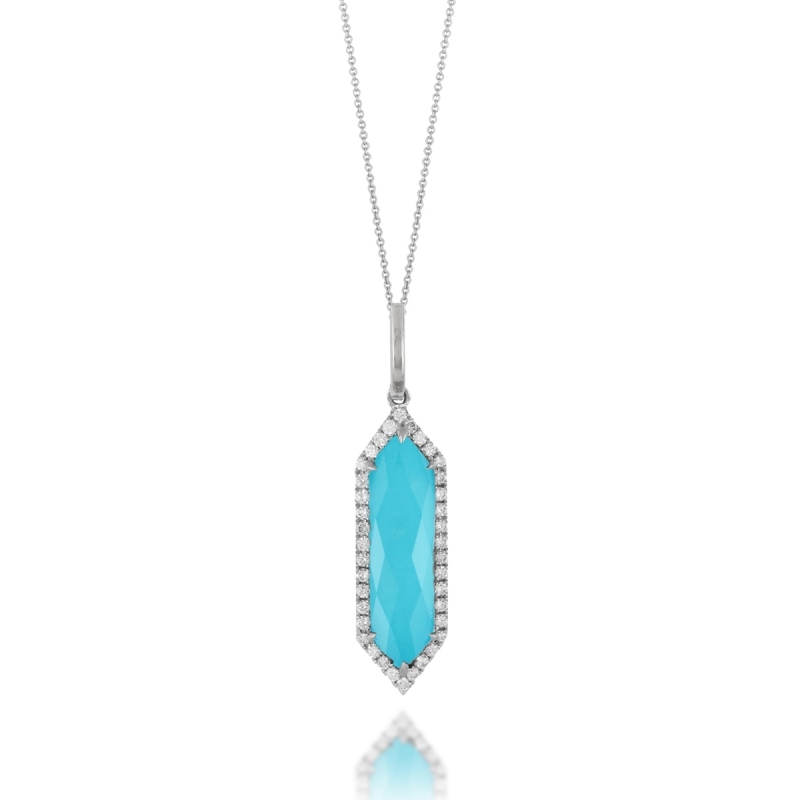 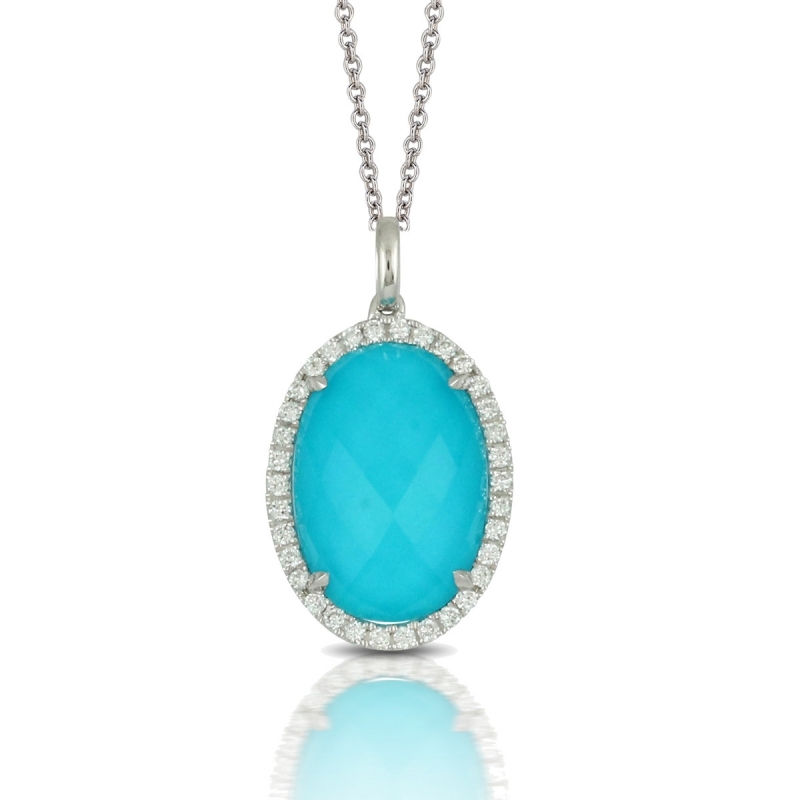 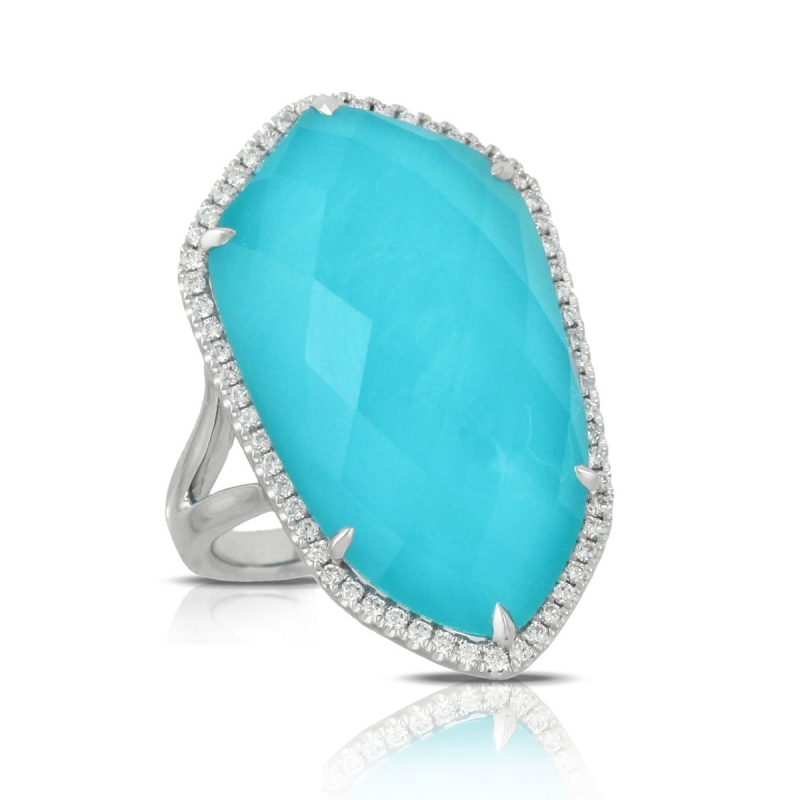 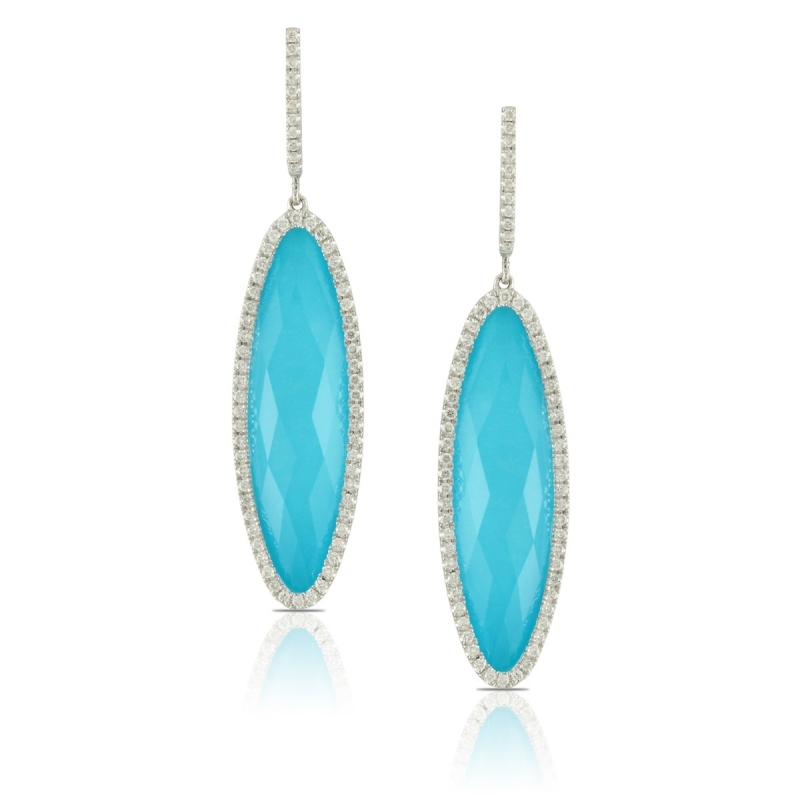 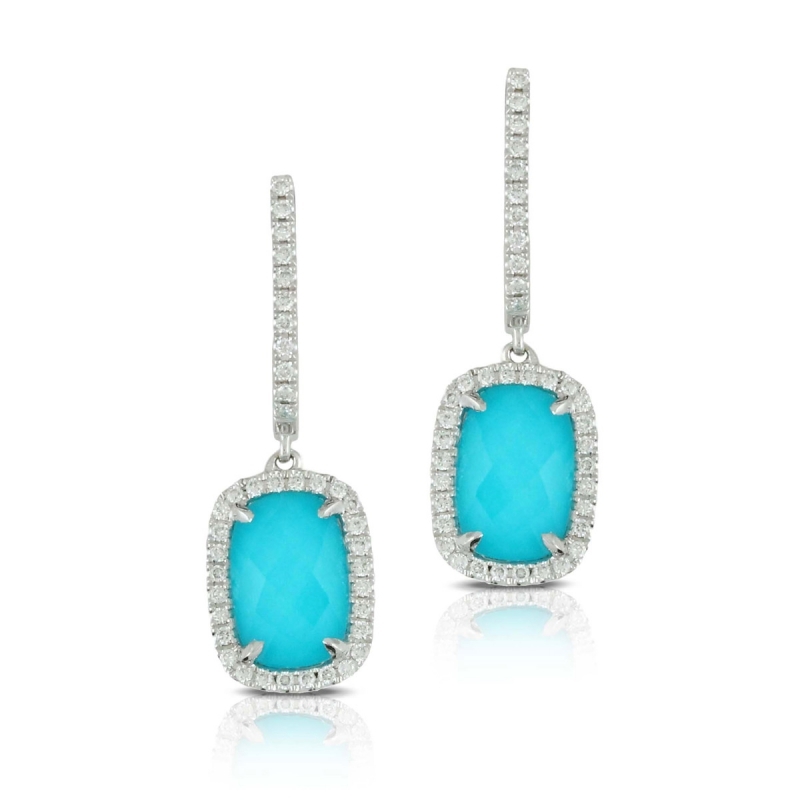 Inspired by the sparkling turquoise waters and crystal seas of the Caribbean. 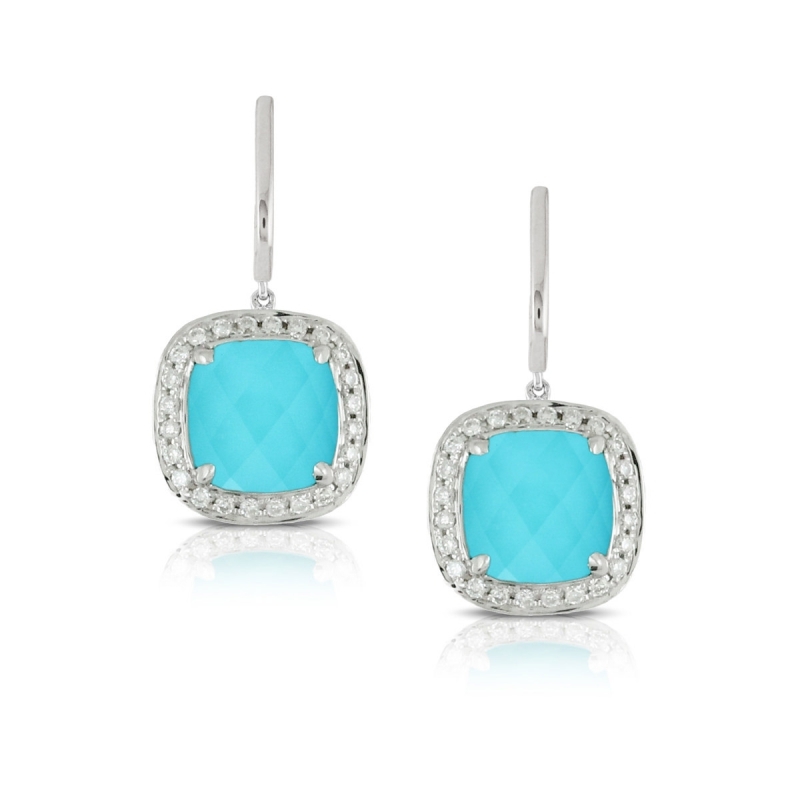 Arizona turquoise shines through checker-cut white quartz, offering power, luck and protection. 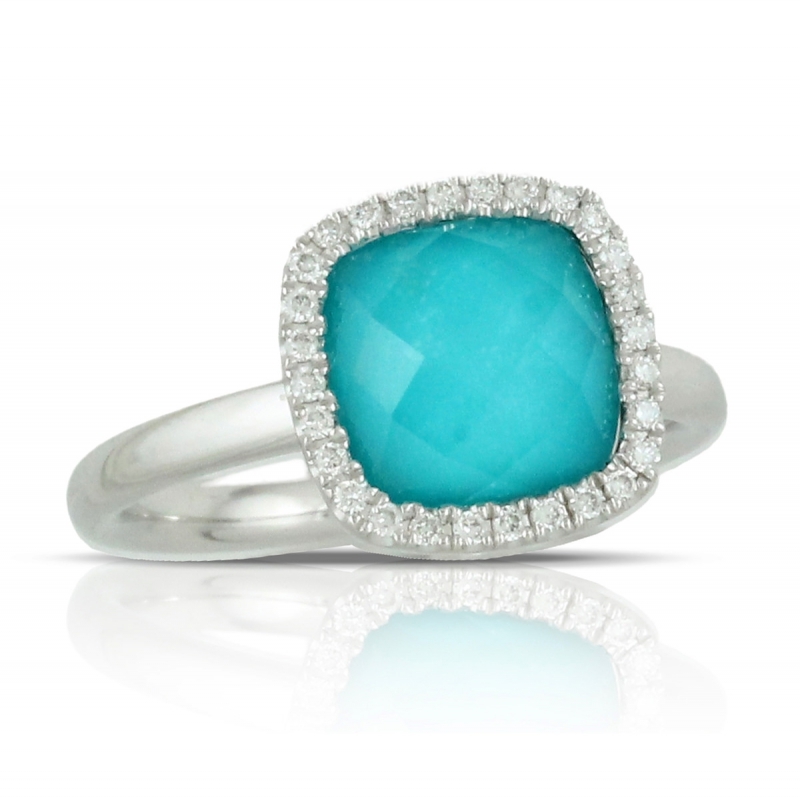 Set in 18K karat white gold with sparkling white diamonds.